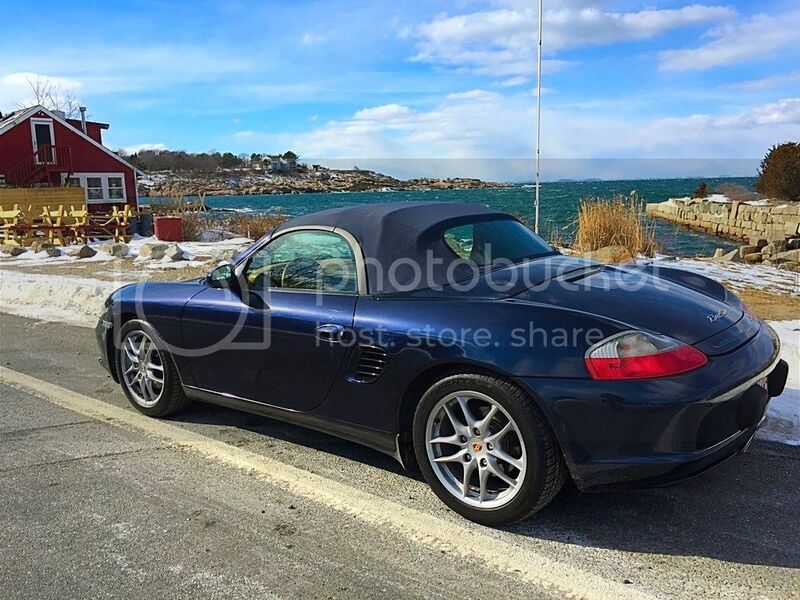 Took the Box out for a drive on a beautiful, but frigid, day on the lovely North Shore of Boston. 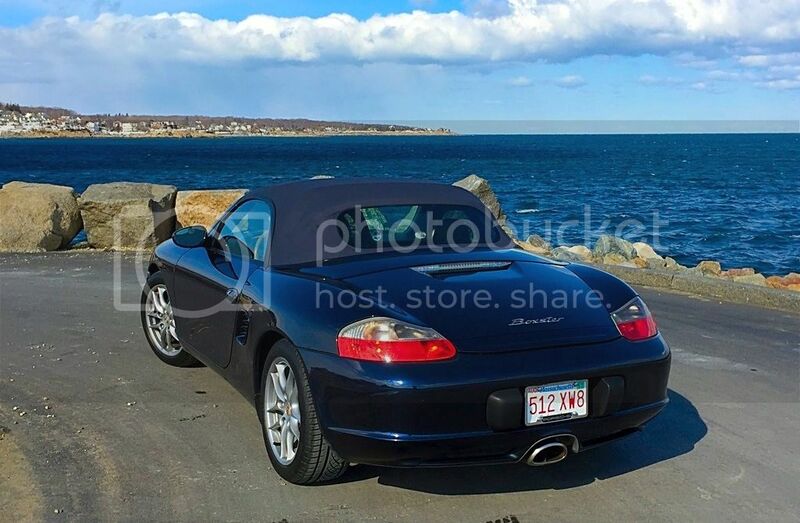 These shots were taken in Rockport, but also had a nice drive through Essex, Hamilton and Beverly. Maybe explore MetroWest tomorrow? 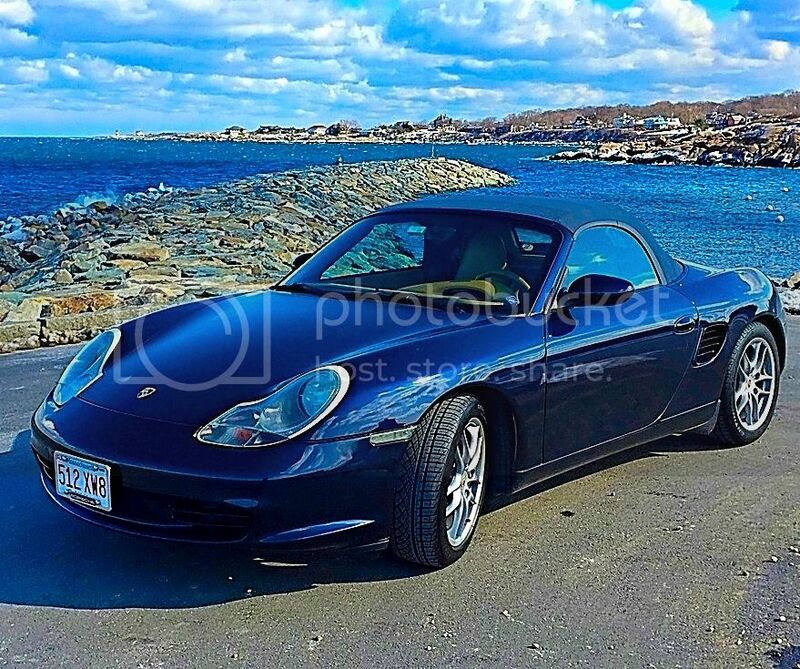 Wonderful photos, your car looks great. Thanks! I just can't bear to put it away for the whole winter. I know I had mine at the ski slope last Saturday. It had rained hard the Wednesday and Thursday before the weekend and had washed the roads pretty clean, couldn't resist. followed 2 Caymans and a 981 Boxster. Beautiful car, looks just like new isn't it. You know, while I was taking this shot I was thinking the same thing. It was quite windy and cold, with a running sea being pushed right on shore here. The pic doesn't really show it, put there was splash over on the sea wall right behind the building - which is a restaurant, BTW, called The Lobster Pound where we've eaten before. So pleased you made it through the tsunami safely Otherwise, many forum members would be deprived of your great sense of humor and projector headlights, of course Speaking of which, do you have a website or link for information about those? You know, just in case the CFO (wife) loses her fiscal mind? I have been thinking I need to rinse off the undercarriage. I'll only take her out if it's dry, but there is still salt or road treatment residue on the roads. I think you have it right - wait until after a good hard rain rinses that sh&t off the road. Nice to get in a little unplanned P caravan, right? I've got a son around your age, and I'm starting to work on him to get a P car. I taught him to drive a stick when he was a lad, so he can go either way - tip/psk or manual. But he prefers manual (Dad is proud)! Nice car looks just like mine. After a run of silver daily drivers, when it came time to buy my fun car I wanted something different. 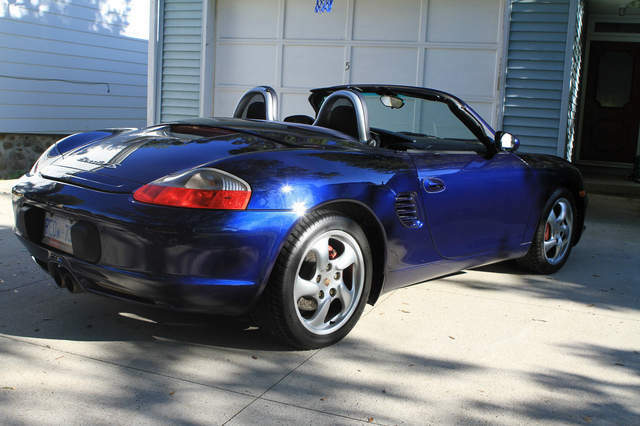 Blue is my favorite color, and IMO it looks great on Boxsters. Mine is Midnight Blue, but I like Lapis, Ocean, Zenith, etc. Nice car, I like the silver roll bar. looks great! am not too far from you I put mine away for the winter its crazy cold last couple of days around here -10 degrees ! That blue is just gorgeous. These cars look amazing in colours other than the apparently standard Arctic Silver like mine. Amazingly cold! Saturday it wasn't too bad when I took the pics, but yesterday it was minus 13F in Stoneham. Warmed up to minus 5 this morning! 50's tomorrow? Saturday was -30 Celsius with the wind-chill it was in the 40's. Suppose to warm up today to -9 Celsius. 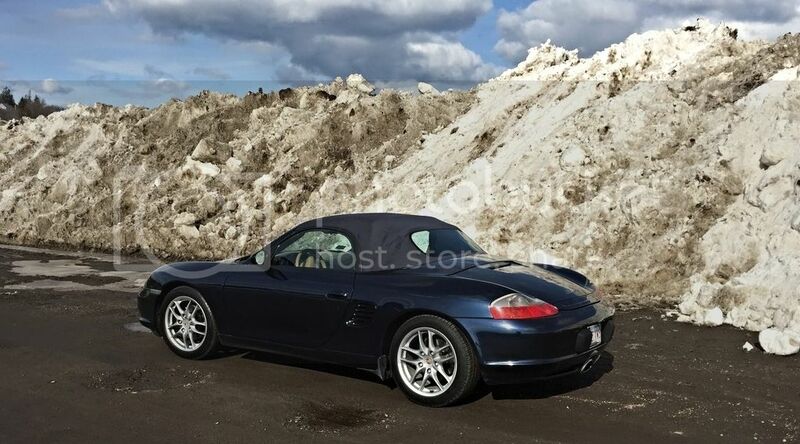 Went to see the Boxster she's all covered up in my brother's garage.